Must evolutionary science and Christian faith be mutually exclusive? John F. Haught suggests that, rather than necessarily contradicting one another, theologians and Darwinian scientists actually share an appreciation of the underlying meaning and awe-inspiring mystery of evolution. Today he speaks with Dan and Jana about the importance of evolution for Christian theology and Christian faith today. He is the author of the newly released book, Making Sense of Evolution: Darwin, God, and the Drama of Life. John F. Haught is a Senior Fellow specializing in Science and Religion at the Woodstock Theological Center, Georgetown University, and Professor of Theology Emeritus, Georgetown University. A leading voice in the emerging field of science and religion, Haught is the author of eighteen books, including God and the New Atheism: A Critical Response to Dawkins, Harris, and Hitchens. John F. Haught, God and the New Atheism: A Critical Response to Dawkins, Harris, and Hitchens. WJK Radio 12: Craig Detweiler Offers his Expert Take on Video Games – and Religion! Hot on the heels of James Cameron’s award-winning blockbuster film Avatar, Craig Detweiler joins us today for a serious look at a fun subject—video games! Detweiler is the editor of the first exploration of video games and their theological dimensions: Halos and Avatars: Playing Video Games with God. Craig Detweiler is Director of the Center for Entertainment, Media, and Culture at Pepperdine University in Malibu. His cultural commentary has appeared on ABC's Nightline, CNN, Fox News, NPR, and in The New York Times. His comedic documentary, Purple State of Mind, won Best Spiritual Film at the 2008 Breckenridge Festival of Film and the Audience Award at the 2009 Tallahassee Film Festival. For more information, visit http://detweiler.wjkbooks.com. He also blogs at craig.purplestateofmind.com. Gabriel McKee, The Gospel according to Science-Fiction: From the Twilight Zone to the Final Frontier. The twenty-seven books of our present New Testament were not the only source materials available to the early Christian church. So, what happened to the rest? Lee Martin McDonald joins us for a fascinating conversation about the “forgotten” books that helped shape early Christianity. He is the author of Forgotten Scriptures: The Selection and Rejection of Early Religious Writings, now available from WJK. Lee Martin McDonald is President Emeritus and Professor of New Testament Studies Emeritus at Acadia Divinity College in Wolfville, Nova Scotia. He writes extensively on canon formation. Eileen M. Schuller, The Dead Sea Scrolls: What Have We Learned? What does it mean to be a human being? Our guest today, David Kelsey, ambitiously tackles this challenging question in his masterful study of humanity in relationship to God. His magnum opus, the two-volume Eccentric Existence: A Theological Anthropology, has just been released from Westminster John Knox Press. David H. Kelsey is Luther A. Weigle Professor of Theology Emeritus at Yale University Divinity School. Among his books are Imagining Redemption and To Understand God Truly. Theological anthropology: an account from the perspective of the Christian faith of what it means to be a human being. Eccentric existence: eccentric means having your center outside of yourself and existence means living as a human being. Thus, eccentric existence can be defined as having your center outside of yourself as a human being. Kelsey argues that the basis for human reality and value both lie outside of human beings; they lie in God. Eschatological consummation: refers to the transformation of all creatures at the end of history into the kingdom of God or eternal life. According to Kelsey, eschatological consummation is the second of three distinct ways in which God relates to us: God creates us; God is there at the end of all things eschatologically; and God reconciles us when we are alienated from God. Since being introduced to American television audiences over two decades ago, Homer, Marge, Bart, Lisa, and Maggie Simpson have become one of the most well-known, beloved, and irreverent animated families of all time. Yet even in The Simpsons one can find elements of faith and morality. Here to discuss the ways in which spirituality and religion are reflected in this longest-running comedy in television history is Mark Pinsky, author of the newly revised edition of the best-selling book that Booklist calls “seriously funny,” The Gospel according to The Simpsons. A completely revised study guide for this volume in the popular WJK Gospel According to… series has just been released. Mark I. Pinsky is the author of The Gospel according to The Simpsons, The Gospel according to Disney, and A Jew among the Evangelicals. He is a former religion reporter for the Orlando Sentinel and the Los Angeles Times. Thomas G. Long, one of America's most trusted and thoughtful pulpit voices, joins us for a fascinating discussion on today’s Christian funeral. Tom has just written an informative guide to and theological and cultural critique of contemporary funeral practices. Accompany Them With Singing—The Christian Funeral is now available from WJK. Thomas G. Long is Bandy Professor of Preaching at Candler School of Theology, Emory University, and is one of the most popular preachers in the United States today. He is the author of several books, including The Witness of Preaching and Preaching from Memory to Hope. Be sure to check out http://long.wjkbooks.com for more information on Tom, including a video interview on his new book! Who among us has not experienced hearing a song that moved us deeply, that spoke to us in a truly spiritual way, despite the secular nature of the song itself? Millions of fans around the world have found that inspiration in the music of U2, arguably the biggest band in the world today. Now, on the heels of U2’s latest studio album No Line on the Horizon, Greg Garrett, author of We Get to Carry Each Other: The Gospel according to U2, joins us for an engaging and informative discussion about the spirituality that drives the band and its music. Greg Garrett is Professor of English at Baylor University in Waco, Texas, a licensed lay preacher in the Episcopal Church, and Writer in Residence at the Seminary of the Southwest in Austin, Texas. He is one of America’s leading authorities on religion and culture. A frequent media guest, he regularly speaks and leads workshops and retreats across the US and overseas. Sitting down with Dan and Jana today is Kathleen Long Bostrom to discuss 99 Things to Do Between Here and Heaven by Kathleen Long Bostrom. From the sublime (watch the sun rise) to the wonderfully silly (dance in the rain), her imaginative suggestions will breathe new life into readers’ lives while opening them up to new spiritual experiences. Kathleen Long Bostrom is the author of dozens of books for children and adults, including Finding Calm in the Chaos: Christian Devotions for Busy Women. She has been an ordained minister in the Presbyterian Church (U.S.A.) since 1983. Kathy and her husband, Greg, currently serve as Co-Pastors of the Wildwood Presbyterian Church in Wildwood, Illinois. Rebecca Barnes-Davies discusses simple steps we can all take—as individuals and within our communities and congregations—to help ensure the survival of God’s creation. 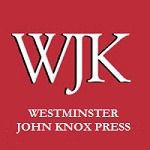 Her new book, 50 Ways to Help Save the Earth: How You and Your Church Can Make a Difference, is now available from Westminster John Knox Press. Rebecca Barnes-Davies has been an environmental activist for well over a decade, advocating for public policy changes, educating groups of concerned Christians, and writing numerous articles. She has served as director of Presbyterians for Restoring Creation and as a program assistant in the Environmental Justice Office of the Presbyterian Church USA. An independent consultant for environmental and social justice ministry, she is currently studying at Louisville Presbyterian Theological Seminary in Kentucky. Jack Rogers has spent the last few years advocating equal rights in both the church and society for people who are gay, lesbian, bisexual, and transgendered. He talks to Dan and Jana about his profound experiences as related in the newly revised edition of his best-selling book, Jesus, the Bible, and Homosexuality: Explode the Myths, Heal the Church. Jack Rogers is Professor of Theology Emeritus at San Francisco Theological Seminary and was moderator of the 213th General Assembly of the Presbyterian Church (U.S.A.). He is the author of Reading the Bible and the Confessions; Claiming the Center: Churches and Conflicting Worldviews; and Presbyterian Creeds. For more information, please visit www.drjackrogers.com.